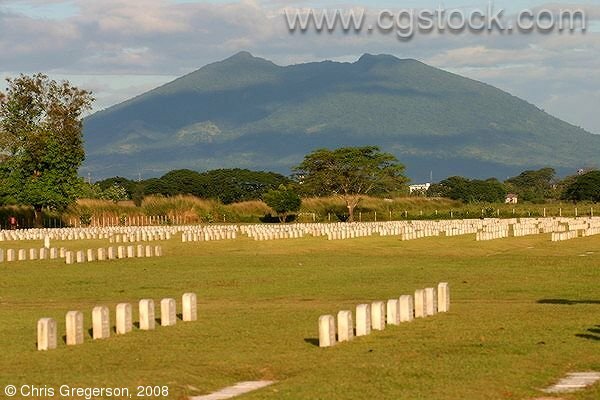 This is on the grounds of the former U.S. Clark Air Force Base, in Angeles City, the Philippines. Mt. Arayat is in the background. There are American and Filipino veterans buried here going back to before WWI.